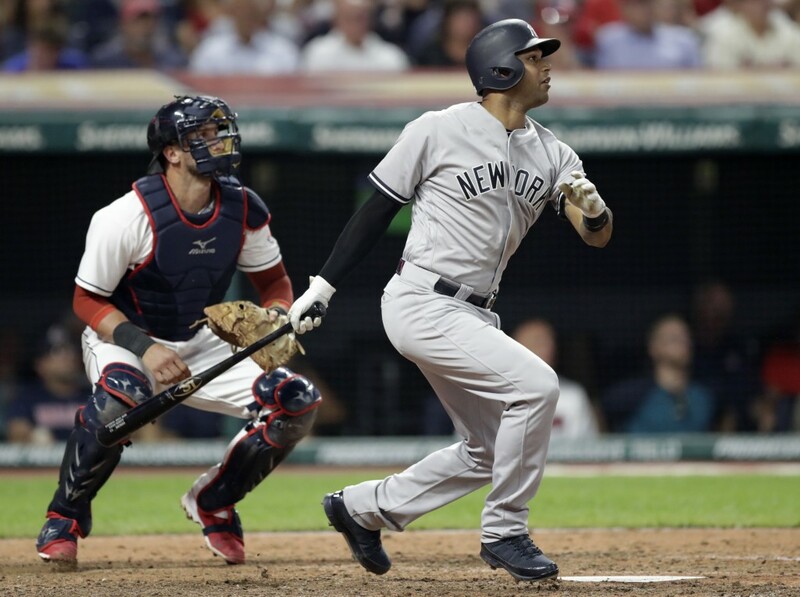 CLEVELAND (AP) — Aaron Hicks drove home Didi Gregorius from first base with a one-out double in the eighth inning off Cleveland ace Corey Kluber, sending the New York Yankees to a 7-4 win over the Indians on Thursday night. Hicks drove a 3-2 pitch from Kluber (12-5) to deep center field, and Gregorius scored easily when the ball one-hopped the wall. Indians manager Terry Francona elected to stay with Kluber in the eighth rather than turn things over to his shaky bullpen, which has the AL's highest ERA. The Yankees added another run in the inning on Greg Bird's sacrifice fly off Oliver Perez. New York's Adam Warren, David Robertson (6-3), Dellin Betances and All-Star closer Aroldis Chapman combined for four hitless innings. 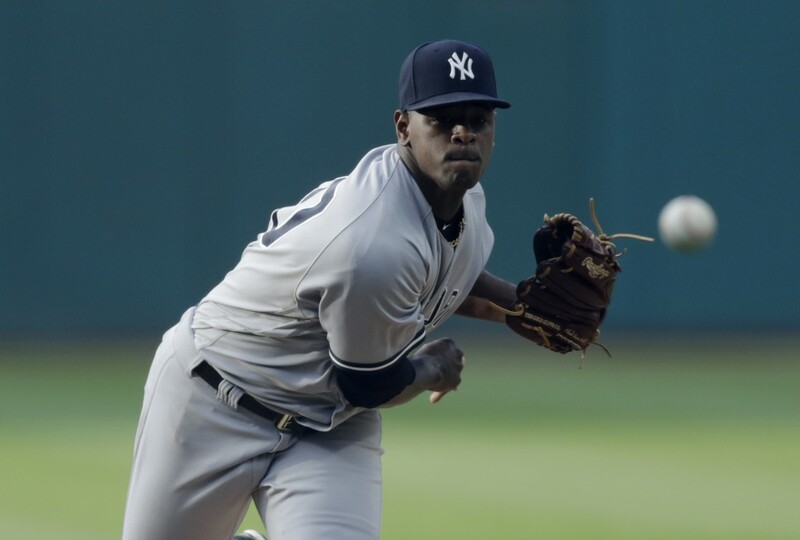 Chapman got three outs for his 25th save — in his first appearance since Sunday because of a sore left knee. The marquee matchup between Kluber and Severino — two of baseball's top pitchers — had everyone excited. 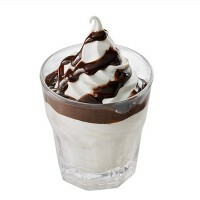 "This is one of those games where if I wasn't a manager, I'd come watch the game," Francona quipped beforehand. But neither Kluber nor Severino brought their 'A' games. The All-Stars each gave up two homers, both were hit harder than expected and they were forced to pitch out of trouble throughout their stints. 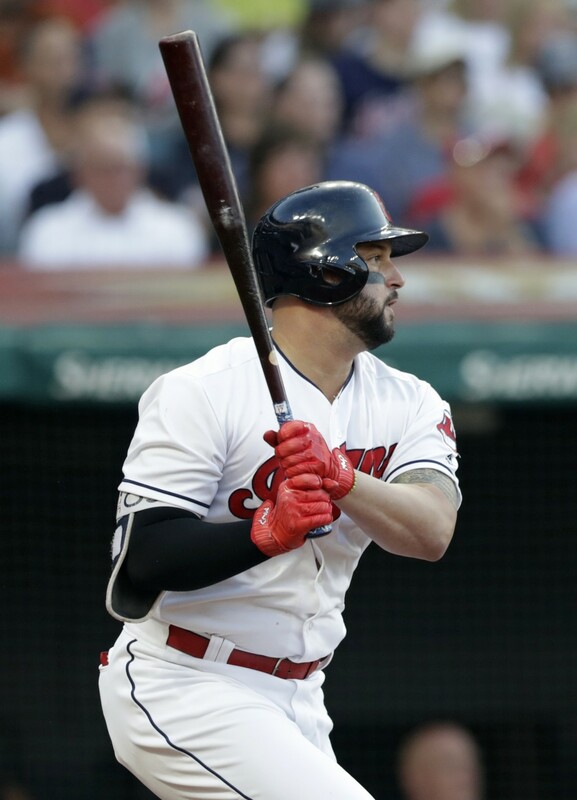 Ramirez connected for his fourth homer in three games to tie it 4-all in the fifth. 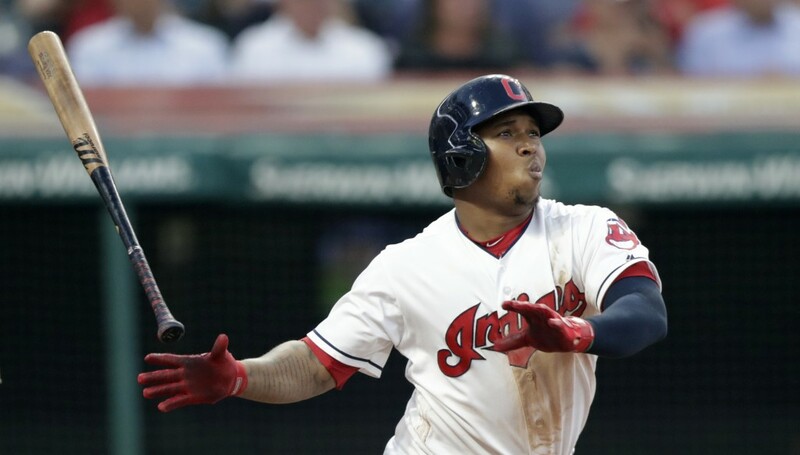 The 25-year-old lined a 1-0 pitch over the wall in right for his 28th homer, breaking Albert Belle's club record for the most before the All-Star break. 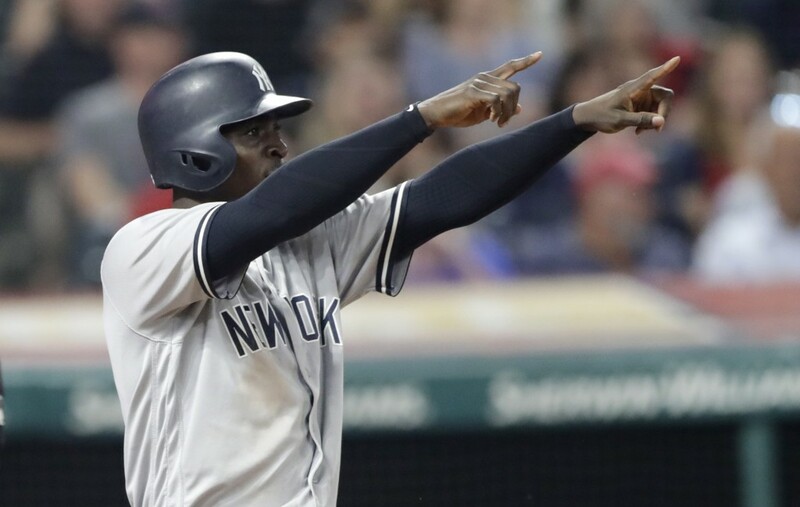 Gregorius, who homered twice off Kluber in Game 5 of the Division Series, connected in the third to tie it 3-3. 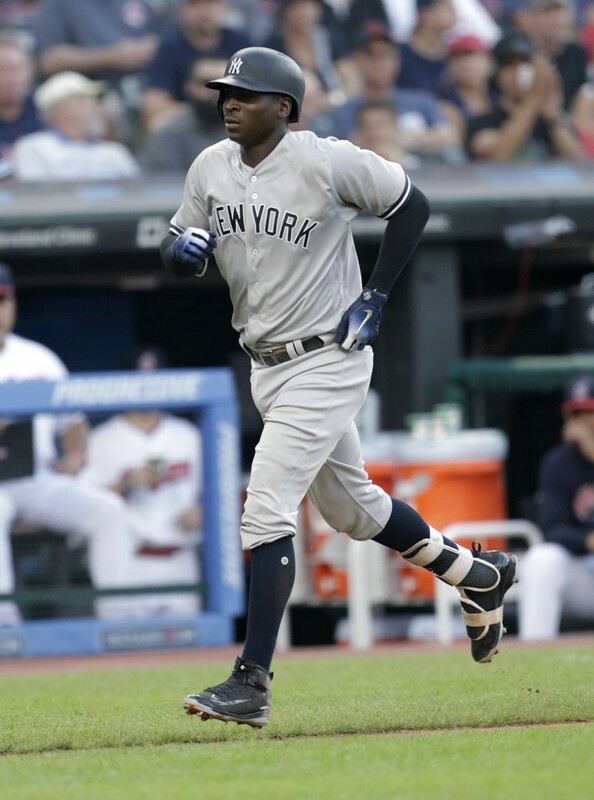 He belted a 1-1 pitch 430 feet for his 16th homer, and the Yankees took the lead on Bird's RBI double. 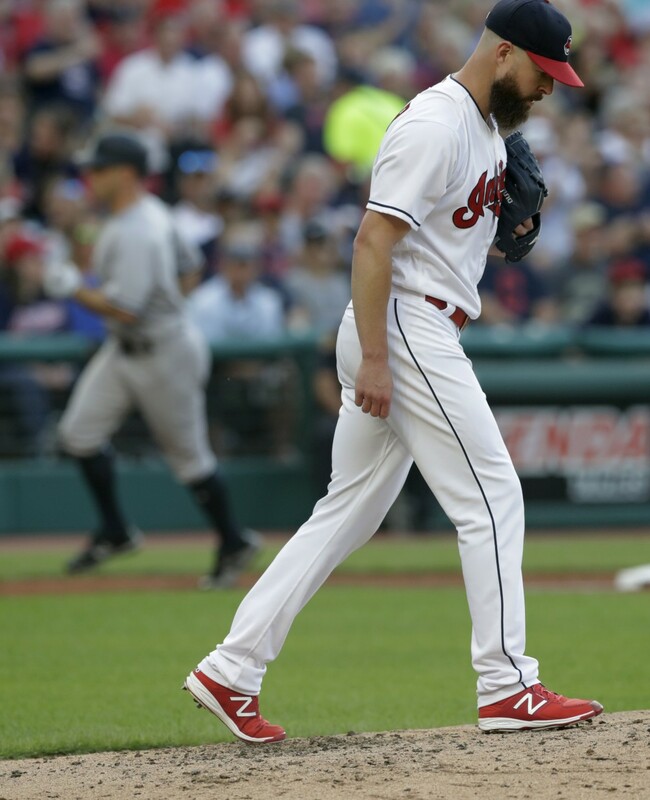 Indians: LHP Andrew Miller will pitch batting practice to hitters Saturday at Double-A Akron, the next step in his comeback from knee inflammation that has sidelined the elite reliever since May 26. Miller said he expects to pitch in a "handful of minor league games" before he's activated. "When you've missed as many games as I have, you really don't have a choice," he said. "It's just a necessary evil I guess, and in reality I'm excited to go pitch." 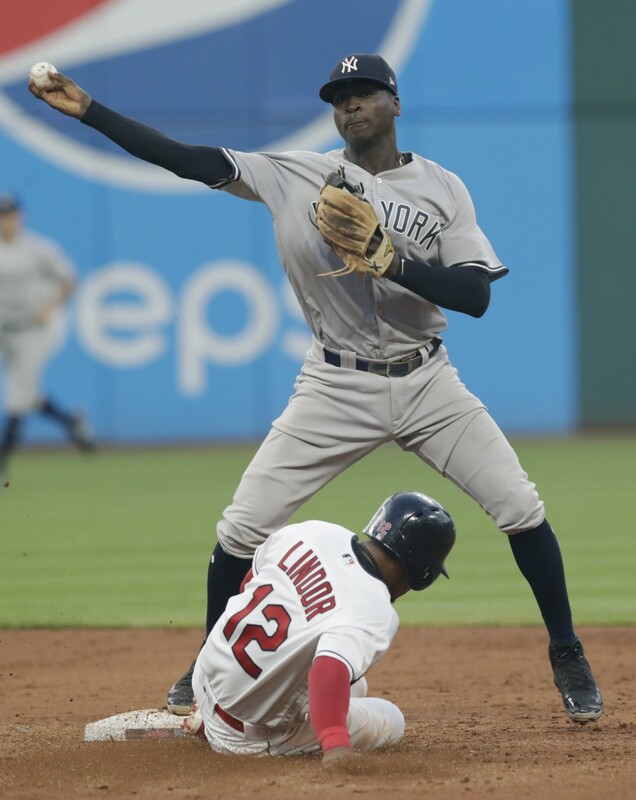 A pair of rookies square off as Cleveland's Shane Bieber (4-1) gets his first career start against the Yankees — or any AL East team — on Friday versus New York's Domingo German (2-4), who had a season-high 10 strikeouts on June 14 against Tampa Bay.